Learn more about the gardening-related products and services we promote industry-wide. 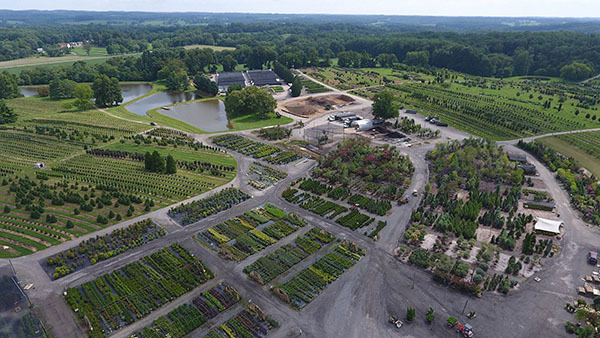 Chicago, January 15, 2019 — One stop shopping for green goods buyers in the Mid-Atlantic just got easier with the addition of Maryland-based Manor View Farm as a LandscapeHub Fulfillment Partner. 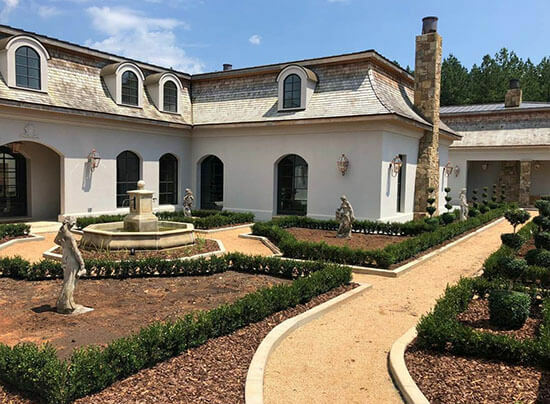 Now customers of both Manor View and LandscapeHub can source, pay, schedule delivery, and pick up products for entire projects from multiple suppliers using a single online ordering system and a single pickup location: Manor View Farm. 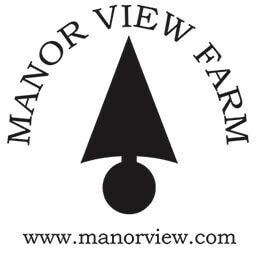 Manor View Farm has carefully cultivated an extensive network locally and around the United States to access additional material for customers, including special products, larger finished sizes, or plants not grown in the area. As a Fulfillment Partner, their decades of relationship building are available to all LandscapeHub customers. In addition to supplying product to different market segments, Manor View Farm boasts a decades-long commitment to industry education. “We will host our 20th education seminar in 2019 with outside and international speakers,” says Jones. “We are always trying to see what the next thing will be, stay competitive with new technology, and do things better for our customers. We have a younger crew here and LandscapeHub fits with how they’re used to working,” Jones says. 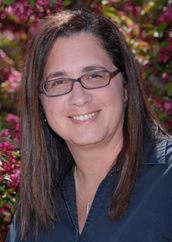 “I’ve known Lisa Fiore for a number of years, and when she approached us, we were intrigued. Her experience and knowledge of the industry lend much more credibility to the project than if someone with no experience had started from scratch.” He says that with the generational change taking place in the green industry, there will be a demand for digital efficiencies. Together, Manor View Farm and LandscapeHub will help green industry businesses remain competitive in today’s changing marketplace. 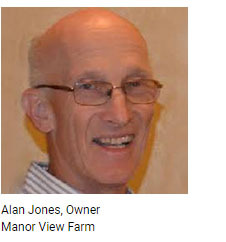 Continuously operated since 1976, Manor View Farm started as a family business in 1976 and has been owned by Alan Jones, John Clark and Dennis Hendrix since 2007. Manor View celebrated its 40th anniversary in 2016 and works with individuals and businesses in almost every aspect of the green industry, from the propagation of liners to field production, sourcing, and delivery of finished products, and more. Their 100-acre facility in Monkton, Maryland serves the greater Philadelphia, Baltimore, and Washington, D.C. metro areas. For more information, please visit www.manorview.com or email sales@manorview.com. Founded in 2017 by Lisa Fiore, Ed Rockhill, and Chad Cooper, LandscapeHub is a Chicago-based technology company. Their online B2B marketplace connects buyers and suppliers within one central platform. 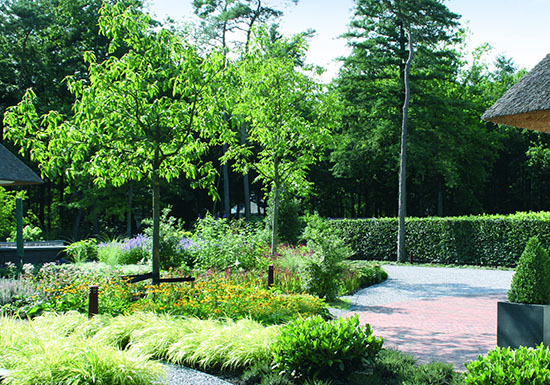 LandscapeHub is dedicated to streamlining the procurement process in the green industry. Buyers and suppliers increase efficiency, expand their networks, and gain valuable market knowledge and insights by using LandscapeHub. For more information, please visit www.landscapehub.com or contact info@landscapehub.com. 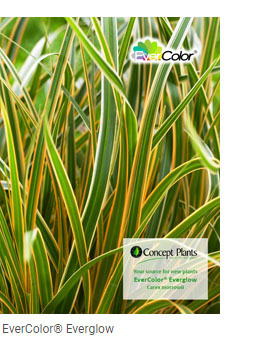 December 2018 — EverColor® – the cold hardy, easy to grow, colorful Carex varieties – continue to take the world by storm. 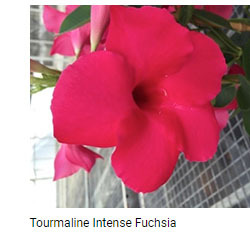 Now with new breeder rights in Japan and a new variety added to the eight already popular with gardeners, growers, and retailers in North America, this plant is a must have! 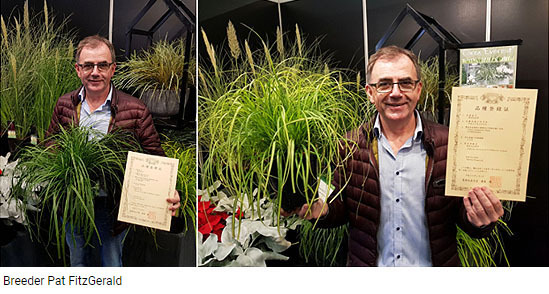 Recently Pat FitzGerald, the breeder of EverColor from FitzGerald Nurseries in Ireland, received quite an accolade for his receipt of two Japanese Plant Breeders’ Rights certificates. His two varieties, Carex EverColor ‘Everlime’ and Carex EverColor ‘Eversheen,’ are now protected in Japan — a great triumph for this esteemed breeder. EverColor® ‘Everglow’ is the newest addition to the eight EverColor varieties already in North America. This new variety has a unique color pattern that changes throughout the seasons. Leaves have a unique green central stripe with margins that are orange from early autumn to late winter and cream from spring to summer. With the cream margins, plants take on a more traditional variegated look. As with all evergreen EverColor, ‘Everglow’ is easy to grow, low maintenance, and mound forming. With its unique color, ‘Everglow’ is a fantastic cold hardy accent addition for year round garden interest. EverColor ‘Everglow’ as well as all of the EverColor varieties can be found at Emerald Coast Growers and Skagit Gardens. We are also excited to announce that the 2018 Plantarium awarded EverColor ‘Everglow’ a gold medal. 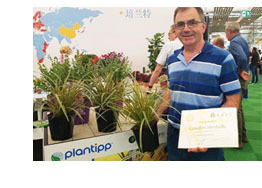 Pat FitzGerald received the award at the recent Plantarium held at the International Trade Centre Boskoop, Hazerswoude-Dorp, Netherlands. EverColor plants will grow almost anywhere — in good garden soils from full sun to shade and even in light substrates and rock wool used for vertical gardening. 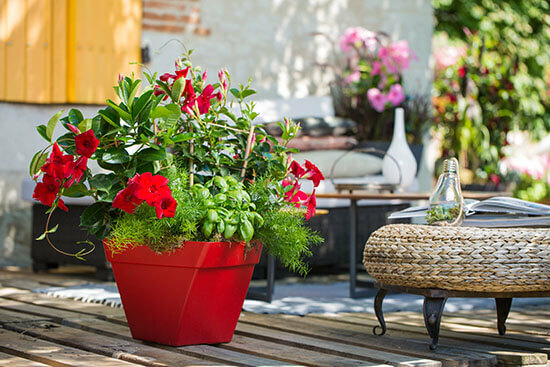 Ideal as terrace or garden plants, they also thrive in a combination with other plants. Evergreen leaves lend year-round interest. Concept Plants® represents and handles royalty management for 250 new plant varieties from 150 different breeders in the North American market. Concept Plants® helps breeders with plant patents, trialing, trial and license agreements, introductions, photography, collecting royalties and more. They aim for a beneficial outcome for everyone to encourage the breeders to continue breeding new plants! 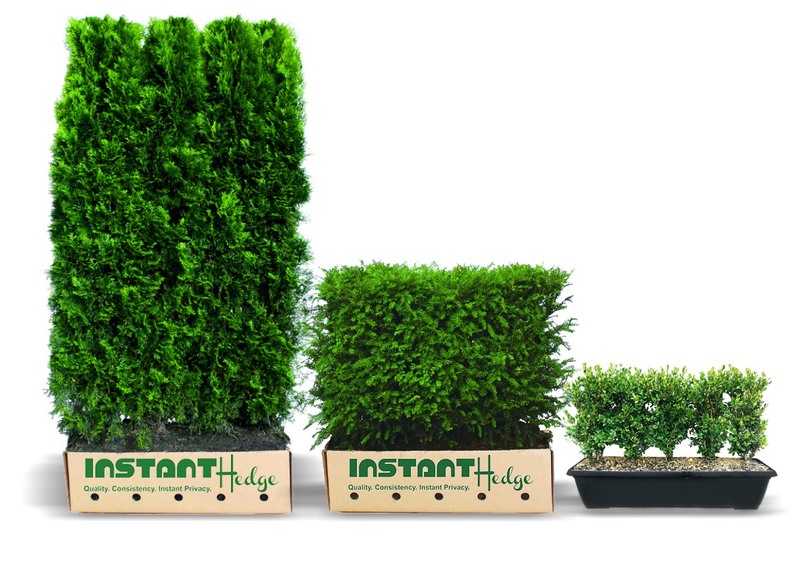 October 2, 2018 — The spring 2018 introduction of InstantHedges was a smash hit, with retailers, designers, and homeowners clamoring for delivery of the 13 different varieties of grab-and-go (literally) four-unit pre-trimmed hedges. Since 2014, owner Brent Markus and his team have planted 500,000 trees, filling 81 acres with plants precision-trimmed multiple times per year with GPS-driven technology. Hedges are then dug in groups of four, packed up, and shipped for planting at homes, commercial properties, and for use at restaurants, museums, and shopping areas as movable screens. 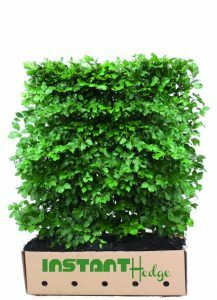 InstantHedge is excited to debut their newest product, the 15-18 inch tall, 32 inch long Green Mountain Boxwood hedge packed five to a unit. These plants are the perfect package for instant beauty, an instantly finished look, and instant holiday decorating. Each unit weighs less than 40 pounds, making it an easy-to-buy, attractive, and affordable option for consumers at retail. Designers and consumers can plant these well-rooted hedge blocks in a trench, in a straight line or bent on a curve. They may also be cut and pieced together as needed. Green Mountain Boxwood is a highly blight resistant boxwood variety based on the Chicago Botanic Garden studies, available here. InstantHedge is enrolled in boxwood blight cleanliness programs in Oregon and the company is approved to ship boxwood throughout the United States. Wholesalers, independent garden centers, designers, and commercial landscapers visit InstantHedge.com for information and pricing. For orders, email order@instanthedge.com, or call 503.587.0102. For media inquiries contact pr@instanthedge.com. Beginning October 15, 2018, InstantHedge’s full product line will be available to consumers through WaysideGardens.com. 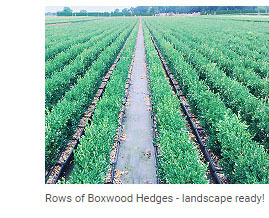 Wayside Gardens is also the exclusive online source for Boxwood InstantHedges. Another source for the larger hedges is fast-growing-trees.com. 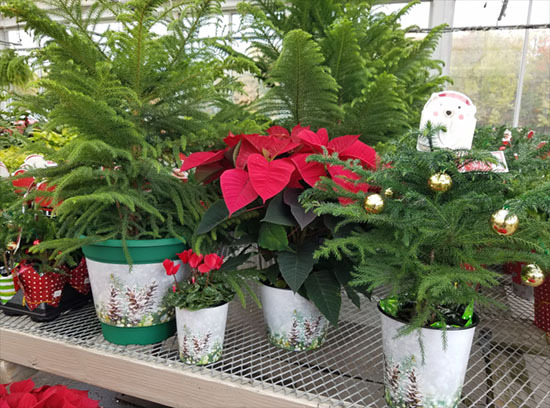 Consumers who prefer to purchase in person can ask for InstantHedge at their local independent garden centers for retail pull-through. 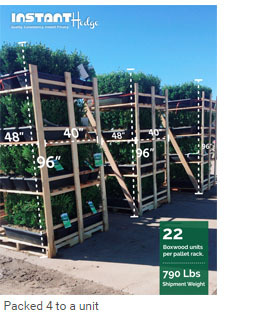 InstantHedge offers 20 varieties of ready-to-plant hedges, covering hardiness zones from 2-9, heights of 3-6 feet, and full to partial sunlight requirements. This fall marks the introduction of the 18” boxwood hedge as well. 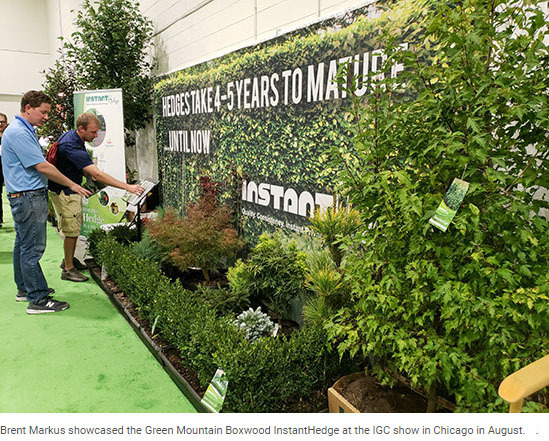 Brent Markus, owner of InstantHedge, discovered his passion in his teens, landscaping his parents’ garden in a suburb of Chicago. 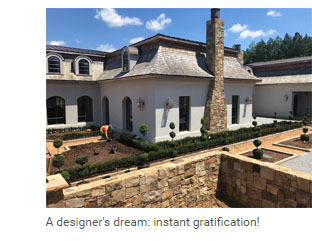 He won his first award, the Chicago Tribune Garden Contest Best Collectors Garden, when he was 17, and his designs have been featured in numerous national publications. 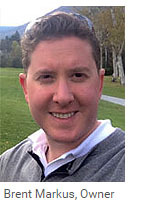 Brent attended Cornell University to study landscape architecture and received his Masters in Horticulture. Brent’s original nursery, Rare Tree Nursery, has been operating from the same location for the past 11 years and specializes in Japanese Maples and Dwarf Conifers. Headquartered in Canby, Oregon, InstantHedge maintains more than 60-miles of in-ground and container-grown hedges and offers year-round harvesting and shipping. The Company is now taking orders for delivery through 2020. Say goodbye to floral sleeves and pot wraps. The pictures prove it: daVinci Grow & Drop in Pots offer a high-end, seamless bench to consumer experience with less work. 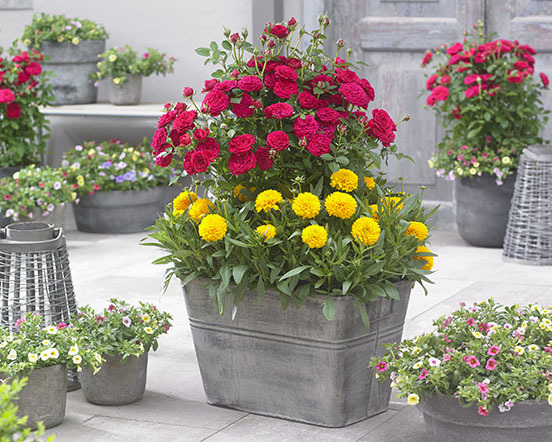 Their made-in-America IML (in-mold-labeled) designs are inspired by nature, works of art, and current marketplace trends and provide an up-market finish for seasonal color, gift plants, and grab-and-go containers. Using in-mold label technology (IML) means superb graphics, colors, and designs that are bonded permanently to the pot, and enhanced with UV resistant dyes, creating a durable, vibrant, and long-lasting product. 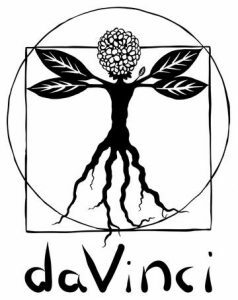 All daVinci designs are also 100% recyclable. The second part of “grow and drop in” is the drop in. New designs debuted this summer at Cultivate ’18 and the IGC Show, including Birch, White Ceramic, Distressed Terra Cotta, Hand Ceramic, and others. They join the current lineup of “Is that or isn’t it?” offerings that blend seamlessly on the shelf with actual ceramic, birch-covered, distressed metal, and terra cotta pots, but at a fraction of the cost. daVinci is happy to create custom products. For information and minimums, contact Ron Vandiver, rvandiver@airliteplastics.com. 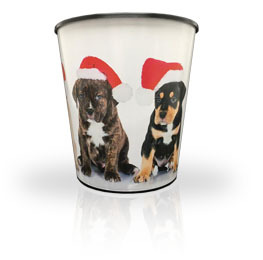 See an instant uptick in sales with daVinci Christmas designs. Amaryllis, poinsettias, paperwhites, and seasonal floral arrangements are the perfect fit for daVinci’s options. Again, it all comes down to adding value, and what better way to do it than with upscale, re-useable (sustainable) pots? A Division of Airlite Plastics Co.
As part of the Airlite Plastics family of brands, daVinci puts Airlite’s 60+ years of experience to work focusing on on-time delivery of precisely engineered products, manufactured to demanding specifications. daVinci Decorated Pots offers in-mold-labeled (IML) designer styled, premium grow pots and drop-ins. Made in the USA for quick turnaround from order to delivery, with consistency, quality, and attention to detail. daVinci products are made to exacting standards, using the latest IML robotics to keep costs low. Located in Omaha, NE, USA. 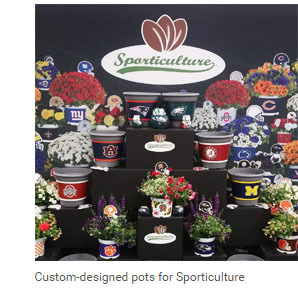 July 2018 — Garden centers are looking for ways to increase revenue beyond spring without constantly reinventing the wheel and families are looking for experiences they’ll treasure and new traditions to enjoy each year. On-site activities (story trails, scavenger hunts, photo ops) to draw kids in and create fun/educational experiences. Retail items (books, plush toys, and so forth) that complement the on-site experiences and generate incremental revenue. Giveaways and take home items (the activity packets) to increase customer satisfaction and strengthen customers’ connection to the establishment. Children expect and look forward to seeing Spookley on TV as much as adults have a fondness for Charlie Brown and the Great Pumpkin. Imagine the delight of kids (and their parents) when they arrive at the garden center and see a larger-than-life Spookley waiting for them. Or a place they can take pictures with Spookley and friends. They’ll be captivated as they enjoy a scavenger hunt and story trail with their favorite characters. 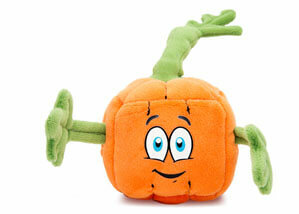 Spookley serves annually as the “Official Spokes-Pumpkin” for National Bullying Prevention Month (October). 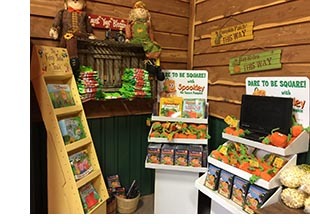 Evergreen Creations, the company handling “agritainment” licensing for Spookley, offers an online toolkit, signage, and marketing collateral focused around this message along with retail items and take-home giveaways for customers to stay connected after enjoying their onsite visit. What Evergreen Creation really offers, though, is easy-to-implement fun. Spookley lives at “Holiday Hill Farm,” where every day is a holiday. 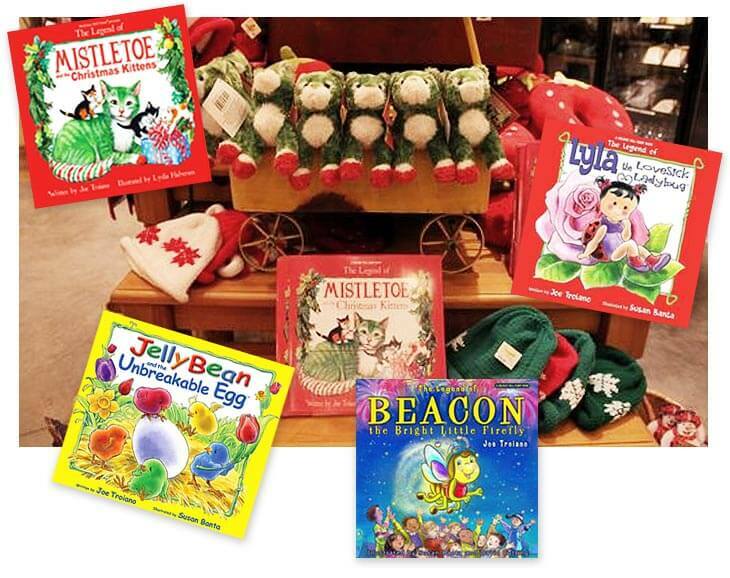 A series of related books ensure that out of the box family-friendly educational and environmental messages and merchandise are available for Christmas, Valentine’s Day, Easter, and Independence Day, in addition to Spookley at Halloween. 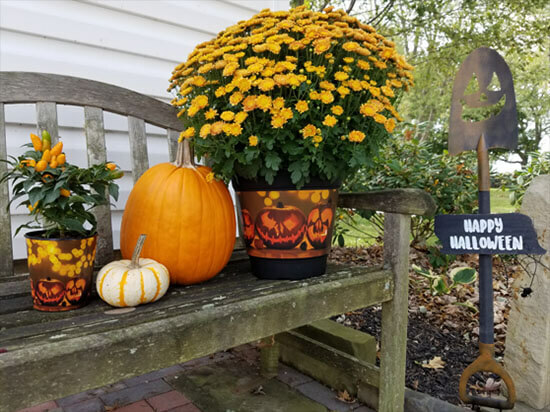 “Evergreen Creations provides garden centers with content to attract, educate, and entertain young visitors, all while helping them increase their bottom line,” says Aaron Burakoff, founder of Evergreen Creations. Connecting with new audiences is easier and more effective when you can use a story or subject they’re already familiar with. That’s the beauty of fall programming built around Spookley—kids and families already know about him.Aaron says, “We are passionate about helping kids connect with agriculture, so we provide tools for Garden Centers to achieve that in a fun and meaningful way.” “Fairy Tale Trail™” Story Trails and Activity Packets are two other immensely popular plug-and-play programs available along with the stories and merchandise based on Spookley and his friends from Holiday Hill Farm. 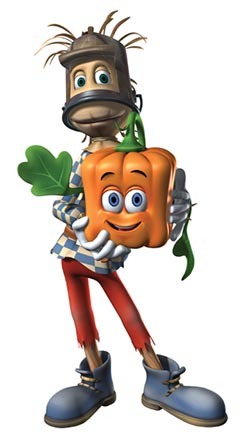 Take your familiar fairy tales such as Jack and the Beanstalk, Beauty and the Beast, or even Cinderella, add an agricultural twist, and you have a perfect attraction to entertain families in spring, summer, or fall. 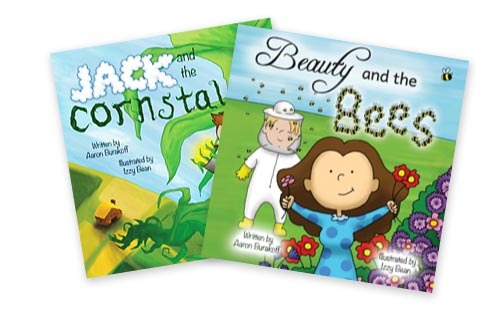 In Beauty and the Bees, we learn about the vital role that bees play on the farm and prove that sweetness can “bee” found anywhere. Jack’s a-maize-ing adventures in Jack and the Cornstalk introduce us to corn-based treats, corn mazes, and the importance of hard work. Pumpkin and apple themed scavenger hunts are family-friendly games perfect for visiting school groups interested in learning about plant varieties as well as fall festival attendees. There’s still time to implement fall programs! Contact Aaron Burakoff at aaron@evergreencreationsllc.com for more information about getting started.About Evergreen CreationsEvergreen Creations creates and distributes “edutainment” content that is featured at family-friendly agritourism farms, farmers’ markets, and garden centers worldwide in field trip programs, retail markets, and on-farm fun. Evergreen Creations creates and distributes “edutainment” content that is featured at family-friendly agritourism farms, farmers’ markets, and garden centers worldwide in field trip programs, retail markets, and on-farm fun. 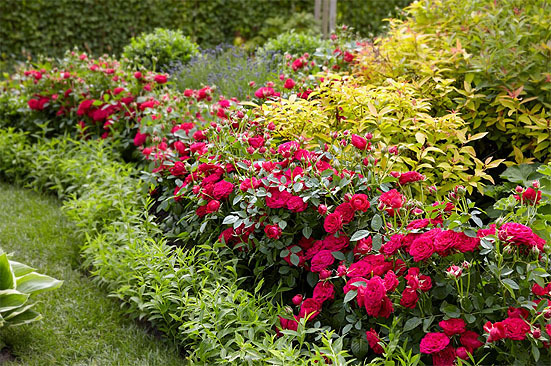 Looking for a Trouble-Free Rose with an Explosion of Blooms? Rosa Dynamite™ BAM! is your Answer! June 2018 — “If you could only have one plant on your patio, Dynamite™ BAM! rose would be it! 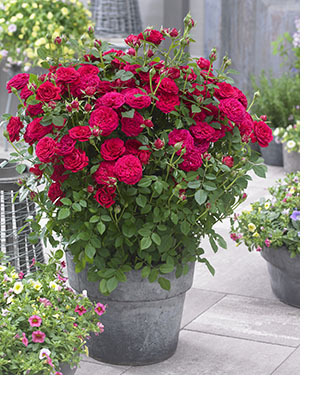 This compact, container-friendly rose gives you flowers from spring to fall frost with little to no care. Self-cleaning, no disease issues, and continual flowers!” says Anthony Hoke, owner of Silver Falls Nursery in Salem, Oregon. 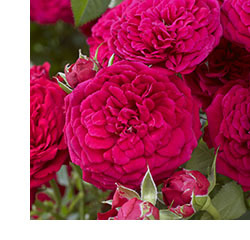 Silver Falls was the first nursery to receive Rosa Dynamite™ BAM! into the United States, hosting it during its 18 month quarantine upon arrival from Europe. He got to know the plant well before it was allowed on the market. Rosa Dynamite™ BAM!, a Floribunda type rose with HT-like/intermediate flowers offers growers and consumers the full package of benefits. All About Rosa Dynamite™ BAM! 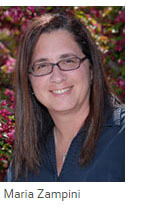 Stop by the Concept Plants®/Plantipp® Booth 3231 at Cultivate to see Rosa Dynamite™ BAM! in person and in bloom. While there, enjoy some rose cinnamon cookies provided by Denise Schreiber, author of Eat Your Roses: …Pansies, Lavender, and 49 Other Delicious Edible Flowers. You can also pick up a recipe card with the cookie recipe and a specialty cocktail recipe developed by Ellen Zachos, The Backyard Forager, and author of The Wildcrafted Cocktail. Growers and retailers interested in adding Rosa Dynamite™ BAM! 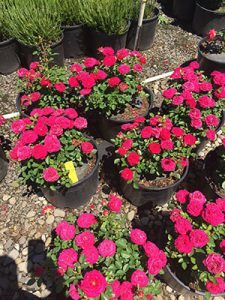 to their programs can find liners and finished plants from Silver Falls Nursery. Contact Silver Falls Nursery via email or online. 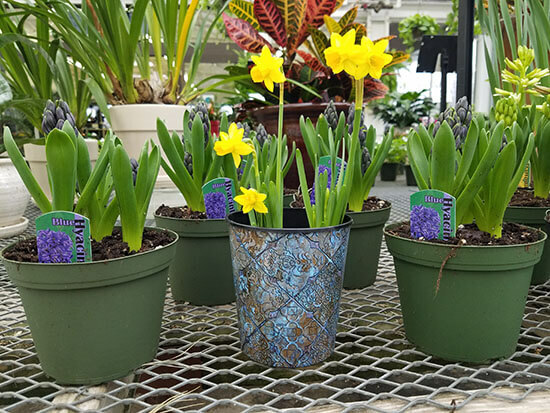 Coming spring 2019, consumers can visit Spring Hill Nurseries online to purchase. All Concept Plants® introductions are detailed here: www.conceptplants.com. 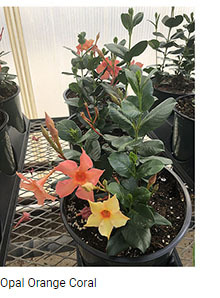 Concept Plants® represents and handles royalty management for 250 new plant varieties from 150 different breeders in the North American market. Concept Plants® helps the breeder with plant patents, trialing, trial and license agreements, introductions, photography, collecting royalties and more. They aim for a beneficial outcome for everyone to encourage the breeders to continue breeding new plants! June 2018—“It’s a tropical hibiscus that blooms for three days instead of one.” “I heard it was resistant to bacterial leaf spot.” “The foliage is gorgeous, but the flowers—they’re to die for!” The rumors spread throughout the horticultural world like juicy gossip on a red carpet. Hollywood Hibiscus went from sleeper hit to blockbuster, with 2018 predicted to be a record-breaking year. These plants live up to the hype. 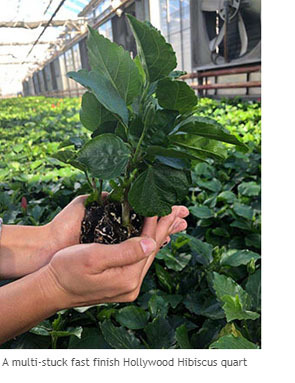 Producing Hollywood Hibiscus closer to the local sales markets for summer and fall sales will cut down on freight costs, and produce fresh, frequent orders for retailers. 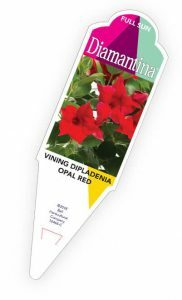 Working with retailers, brokers, small plant producers, and growers, Hollywood Hibiscus and Botany Lane can plan award-winning custom programs by size, season, region, and retailer. 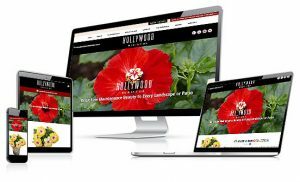 Consumers have become big fans of Hollywood Hibiscus, and to encourage engagement and success, J. Berry just launched a new Hollywood Hibiscus website with the plants’ personalities front and center. They are also offering a new detailed care sheet for consumers to download and, of course a “where to buy” feature. 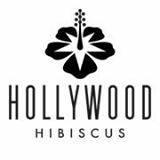 In addition, retailers, brokers, and growers can use the website to locate supply chain partners to help them introduce Hollywood Hibiscus into their programs. Contact Botany Lane (Scott.f@botanylane.com) to book liners, and J. Berry (scott@jberrynursery.com) for trial requests. If you’d like to meet in person with the Botany Lane and J. Berry teams, they’re going to be on the road this summer, with Hollywoods starring in their displays from coast to coast. Here’s their tour schedule. Just send them an email to set up a meeting. 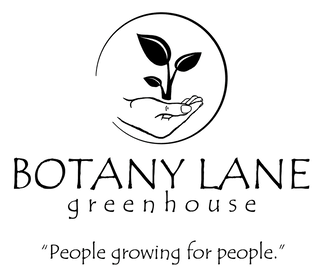 Botany Lane will exhibit at the International Floriculture Expo in Chicago, June 25-27,targeting the mass merchant and grocery market. Booth #5214. Both J. Berry (Booth #0112 in the Solutions Marketplace) and Botany Lane (Booth #1521) will be at Cultivate in Columbus, Ohio, July 14-17 showcasing Hollywood Hibiscus and other brands. The theme of the Texas Nursery and Landscape Association Show August 16-18 in San Antonio, Texas is “Safari.” You won’t have to hunt hard to see J. Berry brands at the show, with many licensed growers attending and plants featured in the common areas. The IGC Show on Navy Pier in Chicago runs August 14-16, and the GWA: Association for Garden Communicators Annual Conference & Expo dovetails with the show this year, August 13-16. J. Berry will exhibit at both trade shows. IGC Booth #3109; GWA Booth #12 & 13. A monthly grower to consumer newsletter produced by J. Berry, The Hollywood Scoop is the definitive resource for Hollywood fans to keep up with their favorite personalities. Sign up at www.hollywoodhibiscus.com. 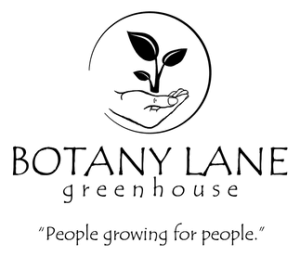 Botany Lane Greenhouses grows specialty annuals, perennials, succulents, and tropicals, finished and young, in 827,640 square feet of environmentally controlled production, one acre of shade houses, and 10 acres of field production at three locations across two states. They ship young plant material to all 50 states and Puerto Rico. In partnering with their customers, they strive to provide excellence in customer service and innovative products, thus ensuring the sustainable growth of our industry, customers and ourselves. It is with our integrity of work, respect for our customers, and value of the plants we grow that we thrive. J. Berry was founded in 2006 by father and son, Jim and Jonathan Berry. Over the past 12 years, J. Berry has expanded by leaps and bounds. In addition to the finished wholesale nursery business, the company now includes both a new Young Plants and a new Genetics Division. 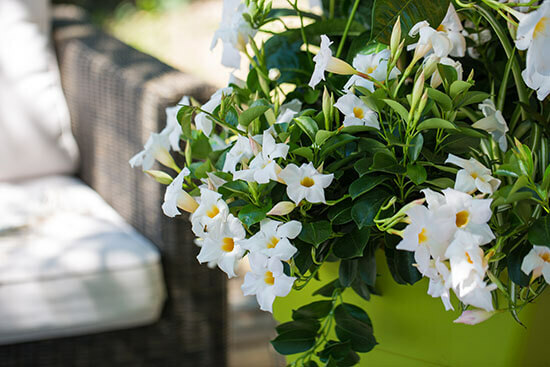 All divisions are focused on bringing innovation to the market, and providing infinite possibilities to consumers via superior packaging and marketing of plants that exceed performance expectations – whether grown in containers or a landscape setting. 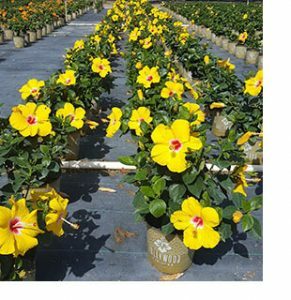 The company’s unique multi-pronged position as a breeder, nursery and small plant producer ensures that only top quality plants join their product offerings. 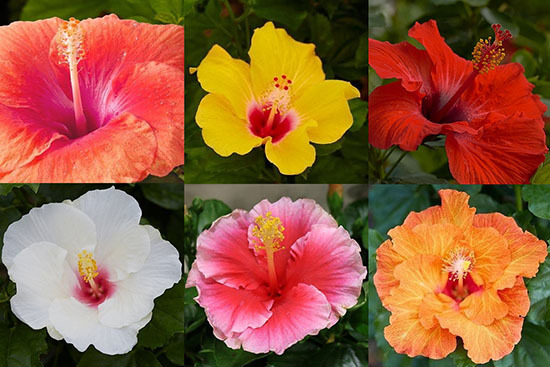 J. Berry is home to exciting consumer plant brands including Black Diamond® and Emerald Empire® Crapemyrtles, Déjà Bloom® Azaleas, the tropical Hollywood™ Hibiscus collection, Summer Spice® Hardy Hibiscus and Crown Jewel™ Begonias. August 1, 2017: Press Release: Ready, Set, Renovate! March 30, 2017: Press Release: Naked Ladies in the Garden?